Congratulations, Myya! I'll send the scrubber and bar your way as soon as I'm back from vacation. I've done many posts for Dove and will continue to do so as long as they ask me because I believe strongly in the company as well as their products. I recently received some products from their new line of Dove Men+Care - a scrubber, bar soaps, and liquid soaps. I love the light, clean smell of the liquid soap so much that I used it myself! It's delightfully refreshing, plus, it has moisturizers. And it's dermatologist recommended and clinically proven to fight skin dryness. Dove's current campaign is called "Journey to Comfort." These 90 second videos showcase St. Louis slugger Albert Pujols, New York pitcher Andy Pettitte, and manager Joe Girardi who talk about becoming comfortable in their own skin – on and off the field. Take a look at these inspirational stories! 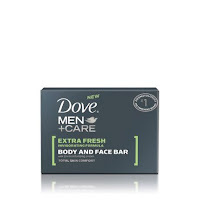 I like this product so much, I'm going to give away one Dove Men+Care Face and Body Bar and one Dove Men+Care Active Clean Dual-Sided Shower Tool. (one winner) If you (or your man) don't have one of these, let me tell you, they are awesome! 1. Leave a comment to enter to win the shower tool and face/body bar. 2. Tweet this giveaway for another entry. Leave a comment with your link. 3. Stumble this post for another entry. Leave a comment with your link. 4. Comment on a non-giveaway post for another entry. Come back here and leave a comment telling me which post you left your other comment on. Please make sure I have a way to contact you if you win. US Addresses only. This giveaway will end at 11:59 PM on July 15, 2010. This post was part of a campaign for Dove Men+Care, Journey to Comfort, and Rocket XL who provided the product for review. The opinions are 100% mine, and I am providing the product for giveaway. I love Dove products! 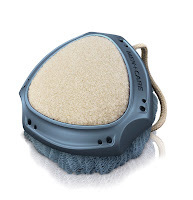 I haven't seen the scrubber thing yet... I bet my hubby would like that!